Los Angeles – August 1, 2016 – Go a little mad with HDNET MOVIES, as the network pays tribute to filmmaking icon Alfred Hitchcock on what would have been his 117th birthday, with the 48-hour Master of Suspense Weekend marathon. The career-spanning event features 15 of Hitchcock’s most enduring films, beginning Saturday, August 13 at 6aE, and running through Sunday night, August 14, until 6aE. Saturday’s lineup kicks off with Paul Newman as an American scientist behind enemy lines in TORN CURTAIN, with Julie Andrews. Next, a young girl fears her uncle (Joseph Cotten) may be a murderer in SHADOW OF A DOUBT; and small town citizens stumble upon a corpse in THE TROUBLE WITH HARRY, with Shirley MacLaine. Then, James Stewart investigates mystery woman Kim Novak in VERTIGO; and Robert Cummings heads cross-country to clear his name in SABOTEUR. The evening closes with three of Hitchcock’s most influential thrillers, starring James Stewart as a desperate man searching for his son in THE MAN WHO KNEW TOO MUCH, with Doris Day and Christopher Olsen; Anthony Perkins as Norman Bates, a deranged mother’s boy, in PSYCHO, with Janet Leigh; and James Stewart as an invalid eyewitness to murder in REAR WINDOW, with Grace Kelly. The thrills continue into Sunday, with a roster featuring Jon Finch as a man falsely accused of murder in FRENZY; and Frederick Stafford is called in to break up a Russian spy ring in TOPAZ; followed by encore airings of THE MAN WHO KNEW TOO MUCH and SABOTEUR. Next, James Stewart is back as a professor who discovers two students’ sinister secret in ROPE; and Karen Black and Bruce Dern run afoul of a kidnapping couple in FAMILY PLOT. Then, winged creatures wage an aerial assault in the 1963 fan-favorite THE BIRDS, with Tippi Hedren; Cary Grant stars as a notorious cat burglar set to clear his name in TO CATCH A THEIF; and Sean Connery falls for Hedren’s troubled kleptomaniac in MARNIE. 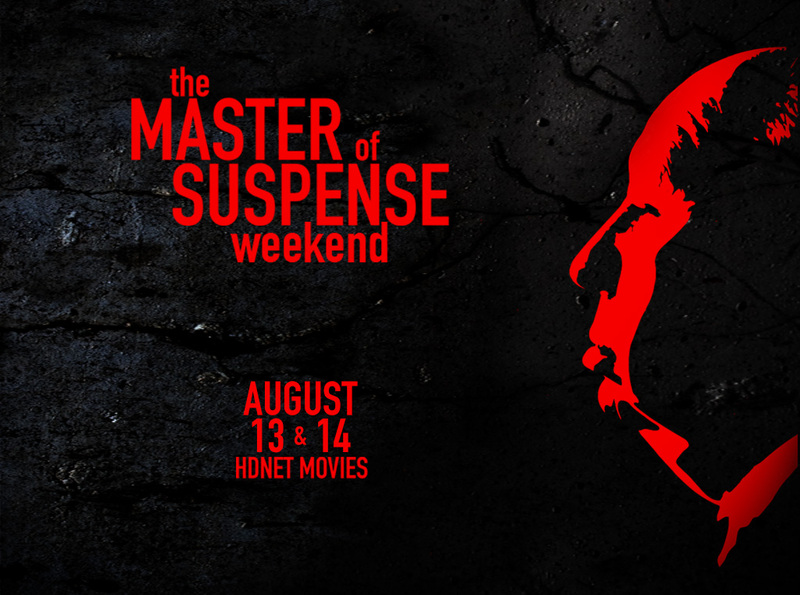 As part of the weekend’s festivities, HDNET MOVIES will also air a three-pack of films inspired by the Master of Suspense on Friday, August 12. The night begins at 8pE, with Mel Brooks’ classic parody of all things Hitchcock in HIGH ANXIETY, with Madeline Kahn and Cloris Leachman. Then, Bill Murray gets wrapped up in international espionage in the mistaken identity comedy THE MAN WHO KNEW TOO LITTLE at 9:35pE. And acclaimed auteur Gus Van Sant brings Hitchcock’s magnum opus into the modern era with the 1998 remake of PSYCHO at 11:10pE, starring Vince Vaughn, Anne Heche, Julianne Moore, Viggo Mortensen, William H. Macy, and Robert Forster. 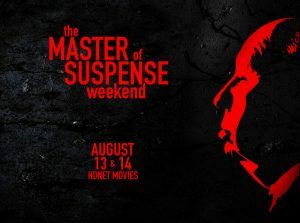 For a complete schedule of films and times, visit http://www.hdnetmovies.com/feature/master-of-suspense-weekend/.